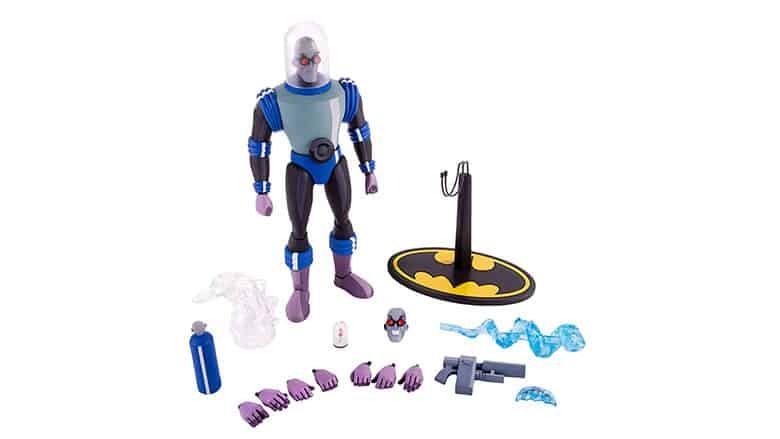 Batman: The Animated Series Mr. Freeze Figure by Mondo | Nerd Much? So the wife was out of town for this past weekend, and her mother took the kids for the day and night. For the first time in awhile, I found myself alone, with nothing pertinent to take care of. So, what did I do to waste that fine Saturday? Tapped my Amazon Prime Video app, pulled up Batman: The Animated Series, and began bingewatching what remains one of my favorite Batman things of all-time. Why does Batman TAS resonate so well, even so many years later? I think it’s how each of the core Batman villains were handled (aside from some serious holes in Poison Ivy’s episode, but that’s for another day). I think the villain that was handled the best was Mr. Freeze, and here he is in an impressively detailed for collectors. Mondo’s The Batman Animated Series Mr. Freeze Figure takes the typical 1/6 figure route, and it’s sculpted after Mr. Freeze in the Heart of Ice episode (which, for the record, won an Emmy). The incredibly well-designed figure stands at 12″ tall, and it comes with a removable dome, angry portrait, and normal portrait. 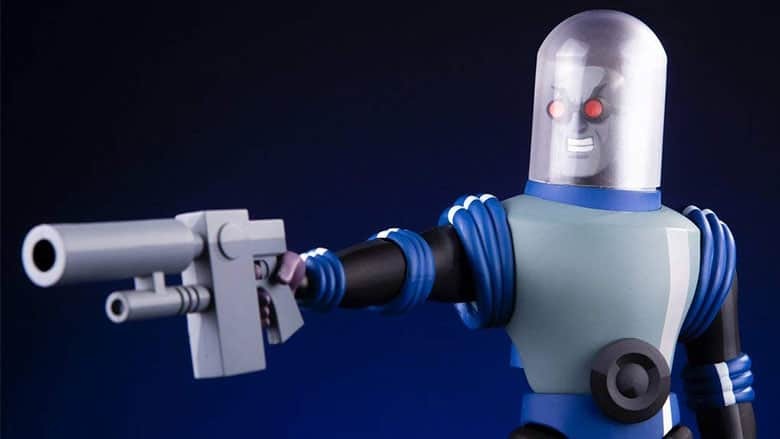 It also comes with a super cool steam head cover, as well as the freeze gun, a freeze blast, a frozen batarang, the ballerina snow globe, a removable back tank, and a Batman themed stand (it’s the classic Batman logo, for the record). It also has 9 different interchangeable hands for you to mess with. The figure is available for preorder from the official WB Shop for $199, and it’ll ship next year on 6/28/2019. You can also buy it for slightly cheaper on Amazon.